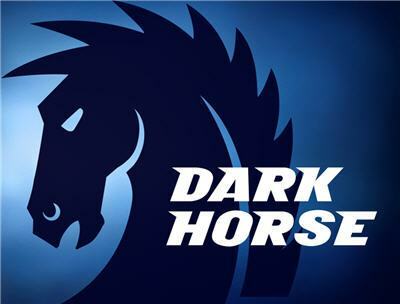 Dark Horse Comics Celebrates 30years With Killer SDCC 2016 Programming Schedule, Joss Whedon, Nathan Fillion, Alan Tudyk to Sign! 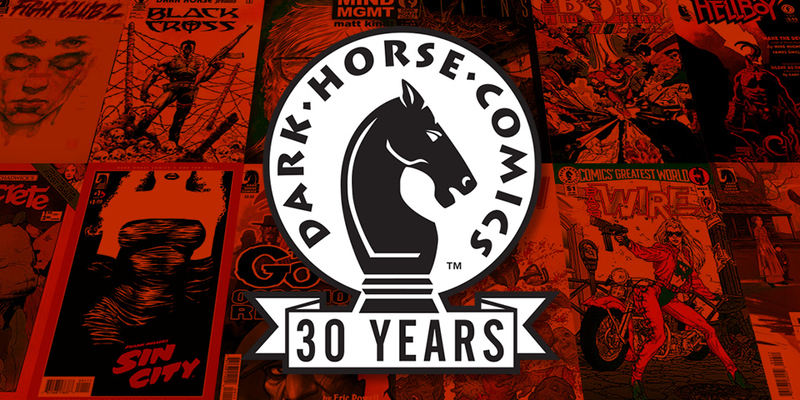 Saturday Morning Cereal’s favorite publisher, Dark Horse Comics, Celebrates 30 years of independent comic book excellence with a Panel and Autograph line-up that no other can match! Check out these two long and distinguished lists of writers, artists and pop-culture ICONS including Joss Whedon, Nathan Fillion, Alan Tudyk and Eisner winner Gene Luen Yang. Follow @StayClassySDCC for onsite Dark Horse updates, images and audio. All creators signing in our booth offer their autographs for FREE. FREE prints, comics, or posters are provided for most of our signings (while supplies last). You may purchase or bring items to be signed; however, we may restrict the type or number of items to be signed as necessary. Some signings require a wristband for entry, as noted on the schedule. Drawings for wristbands for these events will begin at show opening the day before and day of each signing. Come to the Dark Horse booth early for the best chance to join these events. Lines may also be closed for some signings due to crowding or time restrictions. All events are subject to change. Some restrictions apply. Please see Dark Horse Comics staff if you have questions. 11:00 a.m.–11:50 a.m. HB TARZAN: Edgar Rice Burroughs, Inc.
3:00 p.m.–3:50 p.m. HB SLAYER: Tom Araya, Kerry King, Gary Holt, Paul Bostaph and special guests! Please join us at the panels below, brought to you by Dark Horse Comics and friends! Please visit http://www.comic-con.org/cci/programming-schedule for more panels featuring Dark Horse creators and guidelines for attending panels. Dark Horse’s continuations of Joss Whedon’s cult favorites (Serenity, Buffy the Vampire Slayer, Angel & Faith) remain some of the most-talked-about comics in the industry. Dark Horse is giving you an exclusive chance to hear all there is to tell about the end of Buffy the Vampire Slayer Season 10 and what’s in store for Serenityfrom the series’ top talent. Join Buffy Season 10 writer Christos Gage, Buffy: The High School Years writer Kel McDonald, and surprise guests for some big news! With Dark Horse, video game franchises found a foothold in comics. With a line of video game–related comics and deluxe art books, including the best-selling World of Warcraft Chronicle, the publisher now works with the biggest studios and brands in the business. Join Dark Horse editor Ian Tucker alongside DICE, 343 Studios, Microsoft, Blizzard, and BioWare for news and announcements on all your favorite video game tie-ins! Comics professionals come together to discuss their unique contributions to this beloved medium. In this star-studded panel, topics include creating engaging characters with Margaret Atwood (Angel Catbird), transitioning from artist to writer/artist with Joëlle Jones (Lady Killer), and going from Kickstarter to book deal with Hope Nicholson (The Secret Loves of Geek Girls). Sure to be a great panel for the budding cartoonist eager to explore the craft of making comics! Comic-Con special guest Mike Mignola returns after the finale of his iconic creation Hellboy, star of comics, movies, and animation. Ask Mike and Chris Roberson (Hellboy and the B.P.R.D. : 1953, Witchfinder) your questions in this casual Q&A on what’s in store for the future of the Mignolaverse! Comics literature has become the voice and visual for a changing generation, and Dark Horse Originals has it all—from underwater mystery in Jonathan Case’s Dear Creature to the surrealist return of Dave McKean in Black Dog: The Dreams of Paul Nash. Join panelists Dave McKean (Cages), Fábio Moon and Gabriel Bá(Two Brothers), Peter Hogan (Resident Alien), Cullen Bunn (Harrow County), and Jonathan Case (The New Deal) as they discuss pushing the boundaries of what comics can accomplish in literature. Joss Whedon has rewarded fans the world over with some of the most compelling characters and plot lines in the history of comics, television, and movies. Here’s your chance to find out what he has in store for us next and get exclusive insight into Buffy the Vampire Slayer, Serenity, and much, much more! Thirty years ago, Dark Horse arrived with an agenda different from that of any other publisher in comics. The young company was founded on the belief that comics creators should have the option to retain the rights to their own work, and it continues to be a highly fertile breeding ground for new characters, concepts, and more! Now, the publisher is poised to make headlines again with some of the biggest news about new original work since Frank Miller brought Sin City to the pages of Dark Horse Presents! Join panelists for an exclusive look at upcoming and unannounced creator-owned work from some of the biggest names in and outside the industry! This will be the comics panel everyone will be talking about at this year’s show! Please come celebrate Nickelodeon’s Avatar: The Last Airbender with the brilliant mind of Eisner winner Gene Luen Yang and special guests! Anything from discussing past story lines to teasing the future will be on the table at a panel full of surprises and behind-the-scenes stories! PREVIOUS POST Previous post: As the Dormouse Said, Feed Your Head: The VFX of Alice Through the Looking Glass Panel at SDCC!